It is important to get the tyre pressure checked weekly. It is essential to maintain tyre pressure at the level recommended by the manufacturer. 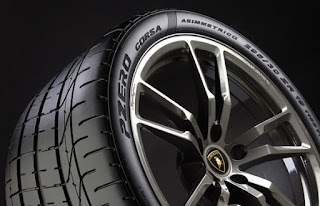 Correct tyre pressure lowers the risk of losing control of the car and prevents uneven wear that might result from under inflation or over inflation. The depth of the tread should be around 1.6mm. Replace the tyres if its low. This is essential for stable cornering, braking and high speed driving. Rough braking takes away the life of the car tyre and causes early wear and tear. It is important to drive at a constant pace and avoid applying frequent brakes. If you drive rashly and brake regularly it leads to tyre skidding resulting in the tyre losing its tread much quicker. Wheel Alignment is the process of properly aligning the wheels and axles. Wheel balancing balances the wheel and the tyres. It ensures that your car handles at its optimum level, increasing safety as well as protecting premature wear of tyres and saving fuel. However, there comes a time when tyres need to be replaced. This depends on various factors, including kilometres driven and driving style, but also climate and storage. It is essential to check your tyres on a regular basis and replace them when as and when required. Visit your nearby Automall, to learn about these Tips and Tricks in detail, at the same time Acquire and Dispose used vehicles and equipment at optimal prices. The Indian automobile market is to end up as the third biggest on the planet by 2020 as per gauges. It is one of them world's most imperative monetary part for income age.On the off chance that we investigate the primary quarter of 2018-19, the Indian automobile market has performed extremely well with a strong twofold digit development of 18.1% crosswise over different segments. Passenger vehicles ticked a solid development of 19.91% at 873,501 units with the most astounding development at 27.29 % with local offers of 55,078 units. Exclusive Used Vehicle Bidding Event!At Automall Manesar, 19th July’2018!! Shriram Automall India Limited (SAMIL) invites you all to the largest Physical Bidding Event for transactions of pre-owned vehicles and equipment at Manesar Automall. 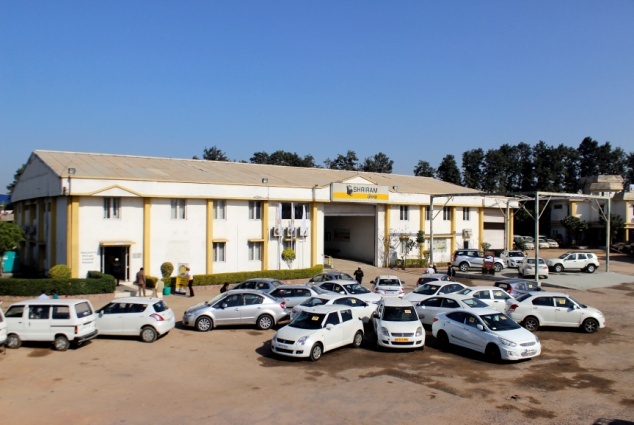 There is no denying the fact that Shriram Automall today has become a renowned name in the used automotive sector. The way company has changed the pre-owned automotive industry, it has become exemplar for others. We have successfully expanded our reach, creating strong market presence in the country with total of 75+ Automall Facilities and 150+ Bidding locations across the nation. 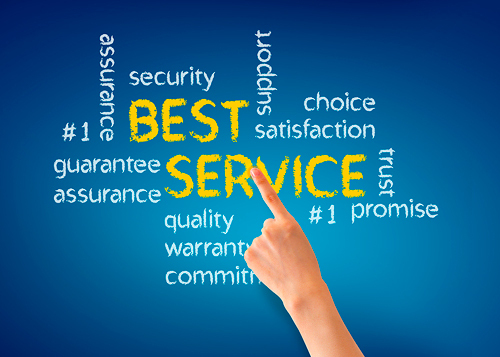 Our aim at SAMIL is to boost customer’s expectation and trust in creating an innovatively efficient organised used automotive marketplace with more customers centric advance services encouraging transactions with complete transparency in each exchange thereby, building trust, reliability and value among its customers. 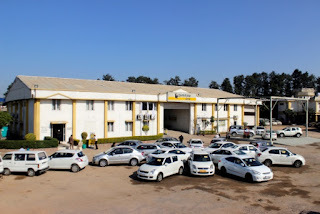 Physical Bidding Event at Manesar will offer a massive inventory of automotives in various segments of pre-ownedvehicles, namely Commercial Vehicles, Passenger Vehicles, ConstructionEquipment, Agricultural Equipment and Two wheelers, Three Wheelers of every make and model to choose from. Customers can physically examine the vehicles which they are interested and procure them at optimal prices easily. So what are you all waiting for? Grab the Golden Opportunity of owning your dream automotive at affordable prices now at Grand Automall in Manesar by Shriram Automall India Limited (SAMIL) on 19th July’2018, 10:00 am onwards! Who doesn’t like Monsoon? Almost everybody does! Am I Right? But do you know, where Monsoon bring chills, it also brings majority of road accidents. Controlling the rains is not in our hands and we don’t really even want to control it. So, what we can do is take good care of our vehicle to be prior ready for what this beautiful season might bring in our way. Today Shriram Automall India Limited (SAMIL) will be covering some of the most important vehicle care tips for monsoon or rainy season that will not only help you drive safely but also help keep the vehicle’s condition well throughout the season. The drastic variation in the environment with the kind of roads and traffic sense that we have in our country make these months the most challenging antagonist to our Vehicles. The reason why we need to take extra care of the vehicle we own or take some preventive measures is because there are several factors which make driving unsafe during rains which include poor visibility, slippery road surface, more potholes develop on roads in rainy season, water logging on roads, chances of water or mud sticking to vehicle’s underbody causing corrosion, loss in braking effectiveness, etc. Check the air pressure in your vehicle’s tyres, as the temperature swings in day and night, it can cause your tires to lose pressure very quickly. Brakes are one of the most crucial parts of a vehicle. Do get the brake fluid levels checked. Brakes lines should be checked too to ensure there is no air/water ingress. And also make sure to keep regular check on your brakes. Do not let water, rainwater included, sit on your vehicle. It will adversely affect your vehicle’s paint. In rainy season handling paint of your vehicle can be pretty difficult. Thereby we advise you to use wax polish that will help you form a thin, protective layer on your vehicle’s paint. If you see any loose or weak electrical connections, patch them up. Make sure external wires are insulated. Also, ensure that all the fuses are working fine and do carry some extra fuses. At times, water flows into the cabin area and damages the carpets and flooring. Place another set of mats (old mats) so that they soak up the dirty water. It is better to use fabric mats instead of rubber mats. Make sure your wheels are properly aligned to avoid any imbalance. Visit your nearby Automall, to learn about these Tips and Tricks in detail, at the same time Acquire and Dispose used vehicles and equipment at optimal prices. Register yourself by clicking the link.